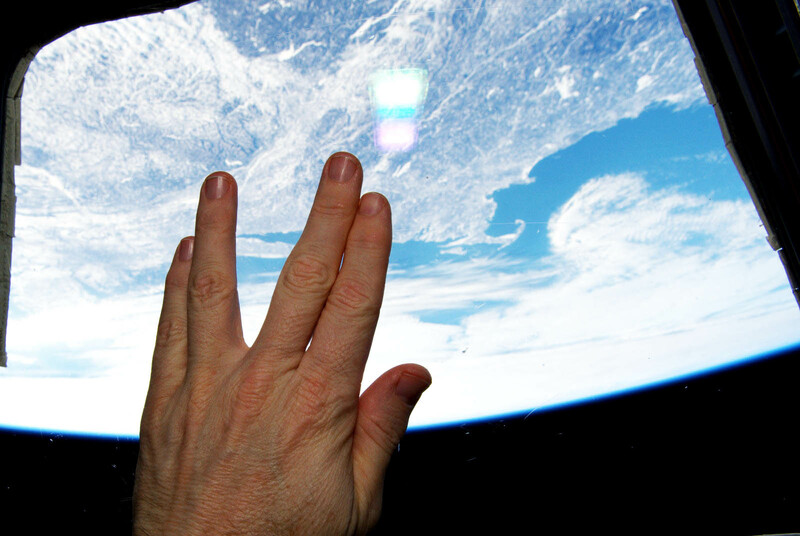 International Space Station astronaut Terry Virts (@AstroTerry) tweeted this image of a Vulcan hand salute from orbit as a tribute to actor Leonard Nimoy, who died on Friday, Feb. 27, 2015. 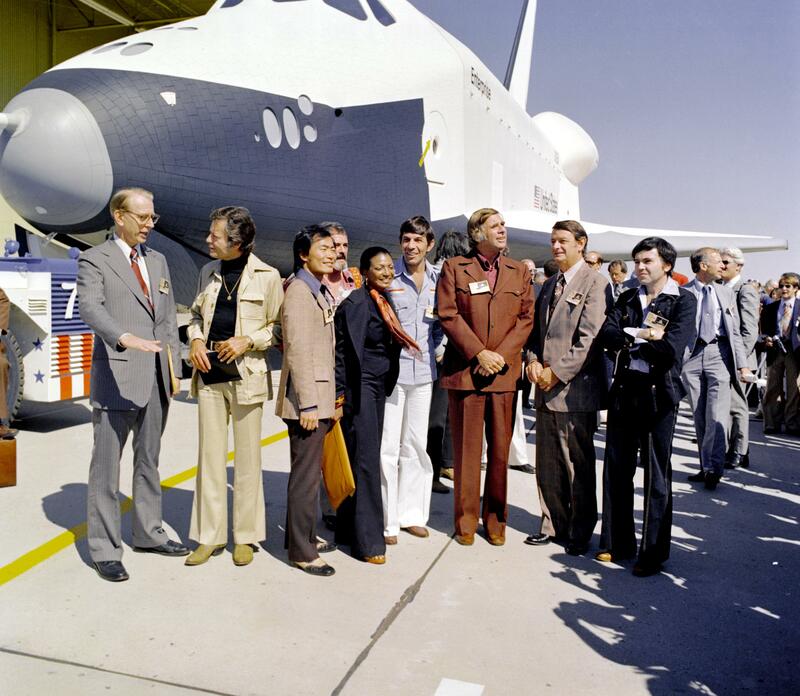 Nimoy played science officer Mr. Spock in the Star Trek series that served as an inspiration to generations of scientists, engineers and sci-fi fans around the world. Apollo-Saturn 201 (AS-201), the first Saturn IB launch vehicle developed by NASA’s Marshall Space Flight Center (MSFC), lifts off from Cape Canaveral, Florida, at 11:12 a.m. on Feb. 26, 1966. The AS-201 mission was an unmanned suborbital flight to test the Saturn 1B launch vehicle and the Apollo Command and Service Modules. This was the first flight of the S-IB and S-IVB stages, including the first flight test of the liquid-hydrogen/liquid oxygen-propelled J-2 engine in the S-IVB stage. During the thirty-seven minute flight, the vehicle reached an altitude of 303 miles and traveled 5,264 miles downrange. Crewmembers on the space station photograph the Earth from their unique point of view located 200 miles above the surface as part of the Crew Earth Observations program. Photographs record how the planet is changing over time, from human-caused changes like urban growth and reservoir construction, to natural dynamic events such as hurricanes, floods and volcanic eruptions. Astronauts have used hand-held cameras to photograph the Earth for more than 40 years, beginning with the Mercury missions in the early 1960s. The ISS maintains an altitude between 220 – 286 miles (354 – 460 km) above the Earth, and an orbital inclination of 51.6˚, providing an excellent stage for observing most populated areas of the world. An annotated version, Fig. A, labels several of the sites Curiosity has investigated during three passes up the Pahrump Hills outcrop examining the outcrop at increasing levels of detail. The rover used its sample-collecting drill at “Confidence Hills” as well as at Mojave, and in late February was assessing “Telegraph Peak” as a third drilling site. The view does not include the rover’s robotic arm. Wrist motions and turret rotations on the arm allowed MAHLI to acquire the mosaic’s component images. The arm was positioned out of the shot in the images, or portions of images, that were used in this mosaic. This process was used previously in acquiring and assembling Curiosity self-portraits taken at sample-collection sites “Rock Nest” (http://ift.tt/12SNjYb), “John Klein” (http://ift.tt/1iFLQAx) and “Windjana” (http://ift.tt/1vwpWGg). Curiosity used its drill to collect a sample of rock powder from target “Mojave 2” at this site on Jan. 31, 2015. The full-depth, sample-collection hole and the shallower preparation test hole beside it are visible in front of the rover in this self-portrait, and in more detail at http://ift.tt/1DDxW7C . The Mojave site is in the “Pink Cliffs” portion of the Pahrump Hills outcrop. The outcrop is an exposure of the Murray formation, which forms the basal geological layer of Mount Sharp. Views of Pahrump Hills from other angles are at http://ift.tt/13Erb9G and the inset at http://ift.tt/1EO3HMa . The frames showing the rover in this mosaic were taken during the 868th Martian day, or sol, of Curiosity’s work on Mars (Jan. 14, 2015). Additional frames around the edges to extend the amount of terrain included in the scene were taken on Sol 882 (Jan. 29, 2015). The frames showing the drill holes were taken on Sol 884 (Jan. 31, 2015). More information about Curiosity is online at http://www.nasa.gov/msl and http://ift.tt/wIaLrq. 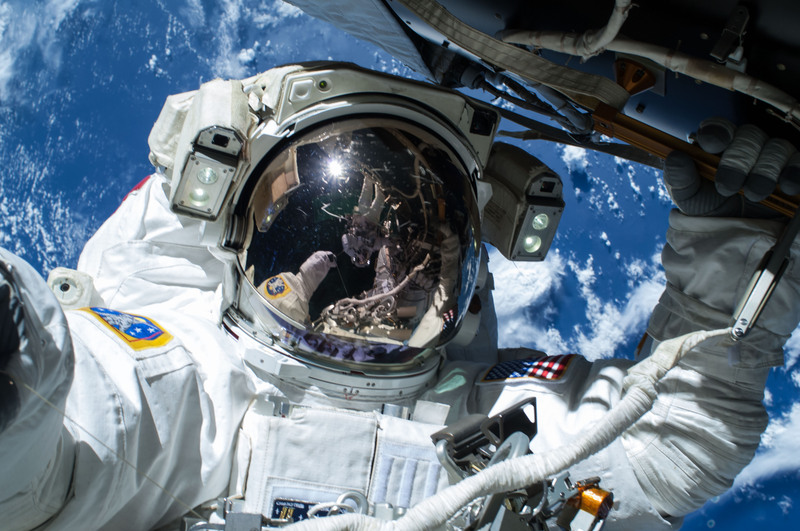 NASA astronaut Barry Wilmore works outside the International Space Station on the first of three spacewalks preparing the station for future arrivals by U.S. commercial crew spacecraft, Saturday, Feb. 21, 2015. 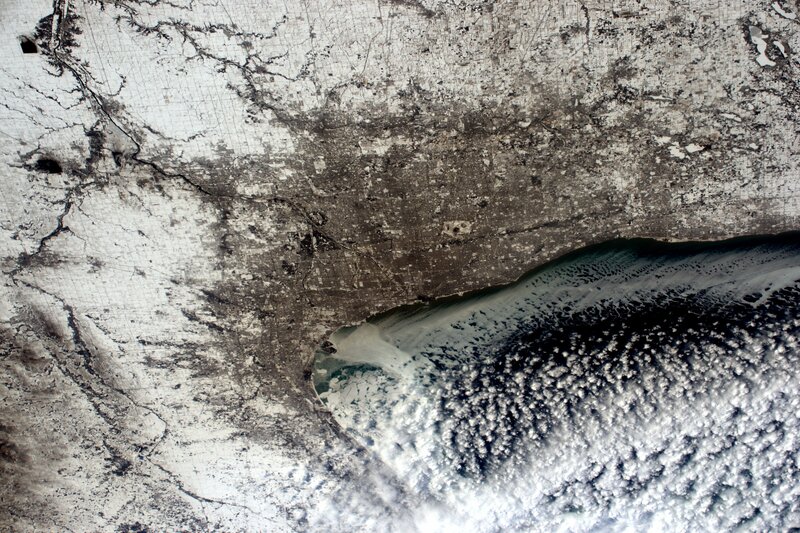 Fellow spacewalker Terry Virts, seen reflected in the visor, took this photograph and shared it on social media. The spacewalks are designed to lay cables along the forward end of the U.S. segment to bring power and communication to two International Docking Adapters slated to arrive later this year. The new docking ports will welcome U.S. commercial spacecraft launching from Florida beginning in 2017, permitting the standard station crew size to grow from six to seven and potentially double the amount of crew time devoted to research. 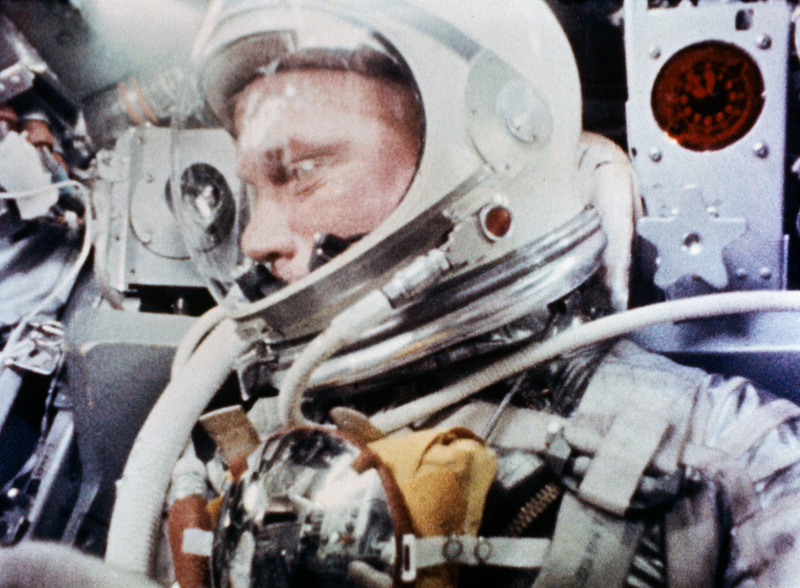 On Feb. 20, 1962, astronaut John H. Glenn, Jr., became the first American to orbit Earth. Launched from Cape Canaveral Launch Complex 14, Glenn’s Mercury-Atlas 6 “Friendship 7” spacecraft completed a successful three-orbit mission, reaching a maximum altitude (apogee) of approximately 162 statute miles and an orbital velocity of approximately 17,500 miles per hour. The flight lasted a total of 4 hours, 55 minutes, and 23 seconds before the spacecraft splashed down in the ocean. This photograph of John Glenn during the Mercury-Atlas 6 spaceflight was taken by a camera onboard the spacecraft. 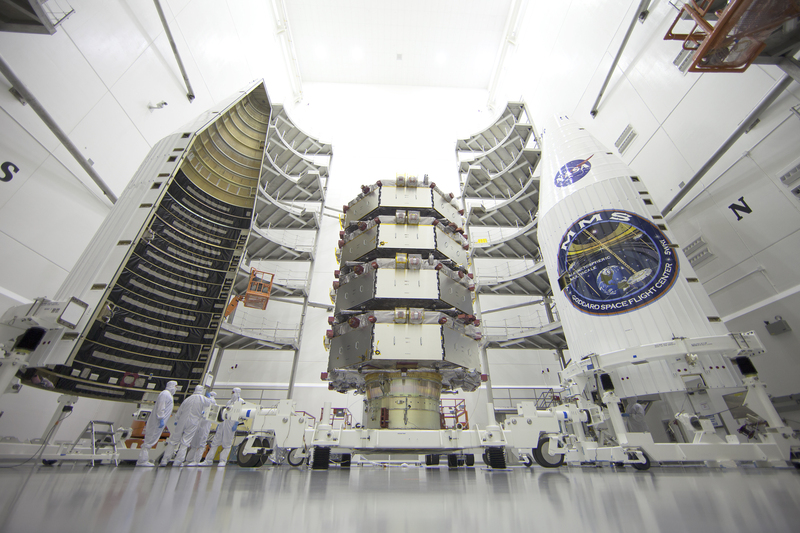 NASA’s Magnetospheric Multiscale (MMS) observatories are processed for launch in a clean room at the Astrotech Space Operations facility in Titusville, Florida. MMS is an unprecedented NASA mission to study the mystery of how magnetic fields around Earth connect and disconnect, explosively releasing energy via a process known as magnetic reconnection. MMS consists of four identical spacecraft that work together to provide the first three-dimensional view of this fundamental process, which occurs throughout the universe. The mission observes reconnection directly in Earth’s protective magnetic space environment, the magnetosphere. 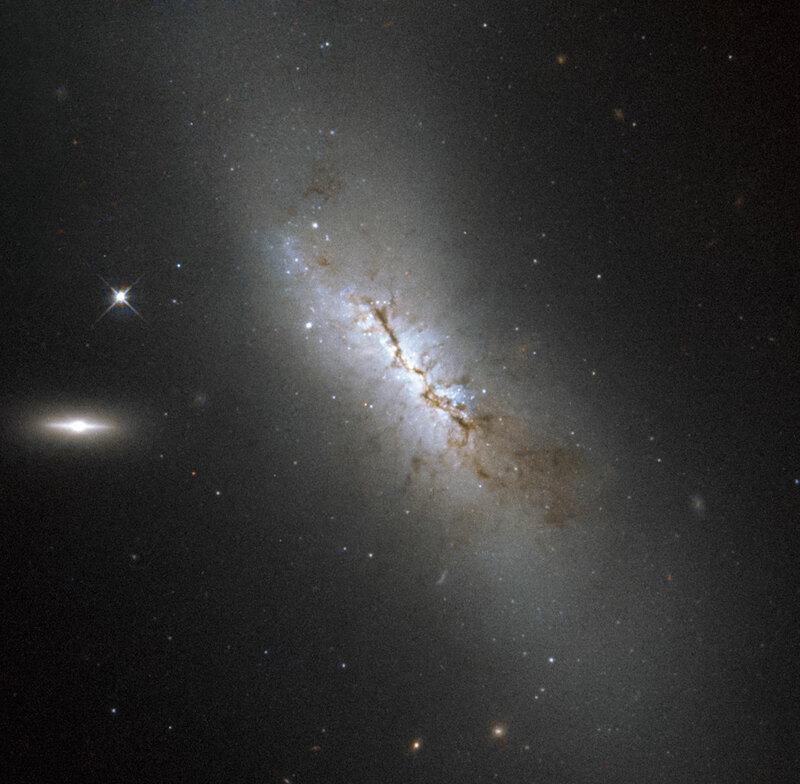 By studying reconnection in this local, natural laboratory, MMS helps us understand reconnection elsewhere as well, such as in the atmosphere of the sun and other stars, in the vicinity of black holes and neutron stars, and at the boundary between our solar system’s heliosphere and interstellar space. MMS is a NASA mission led by the Goddard Space Flight Center. The instrument payload science team consists of researchers from a number of institutions and is led by the Southwest Research Institute. Launch of the four identical observatories aboard a United Launch Alliance Atlas V rocket from Space Launch Complex 41 on Cape Canaveral Air Force Station is managed by Kennedy Space Center’s Launch Services Program. Liftoff is currently targeted for 10:44 p.m. EDT on March 12.